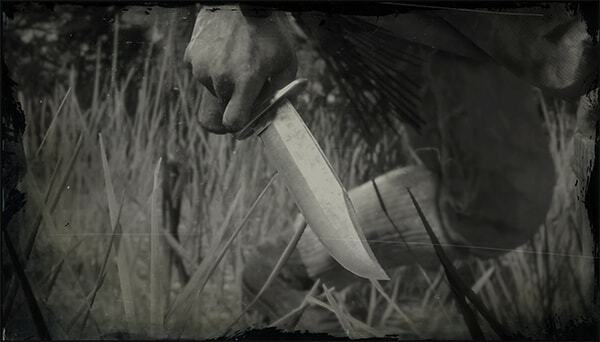 Hunting Knife is a Melee Weapon in Red Dead Redemption 2. An all-purpose Bowie knife with a sharp clip-point blade, steel crossguard, and sturdy wooden handle. Designed for combat, this weapon can give the edge to any close-quarters melee fight, or be used for silent takedowns. For hunters, this is also the perfect weapon for killing and skinning animals. Remember: there are no rules in a knife fight. Starting weapon for Arthur Morgan.